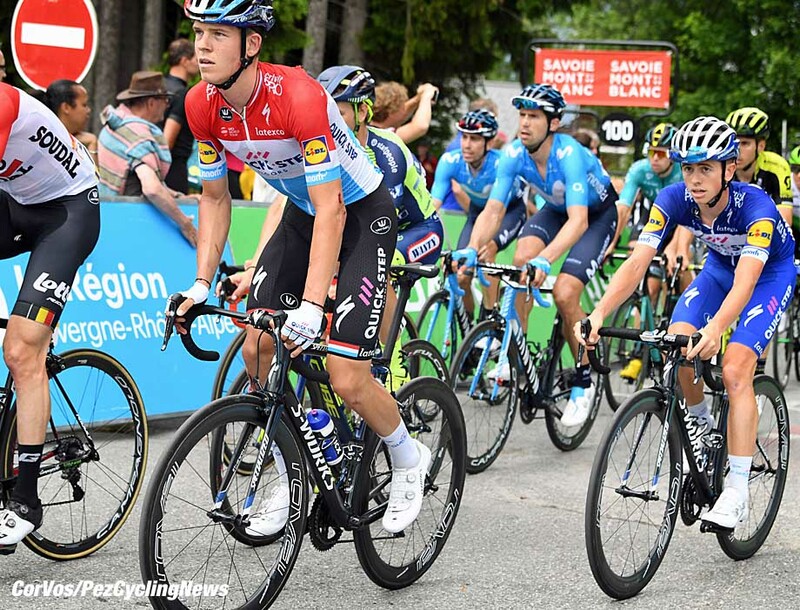 PezCycling News - What's Cool In Road Cycling : Quick-Step Floors’ James Knox Gets PEZ’d! 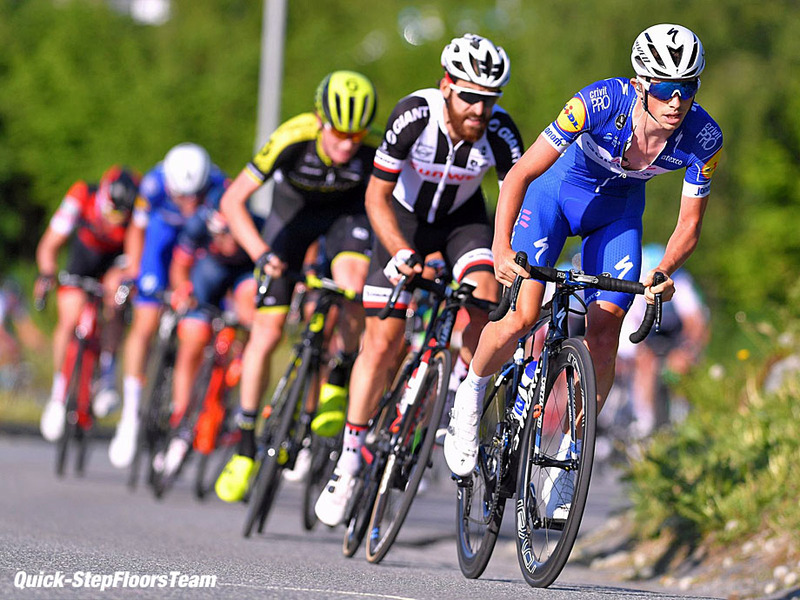 Quick-Step Floors’ James Knox Gets PEZ’d! 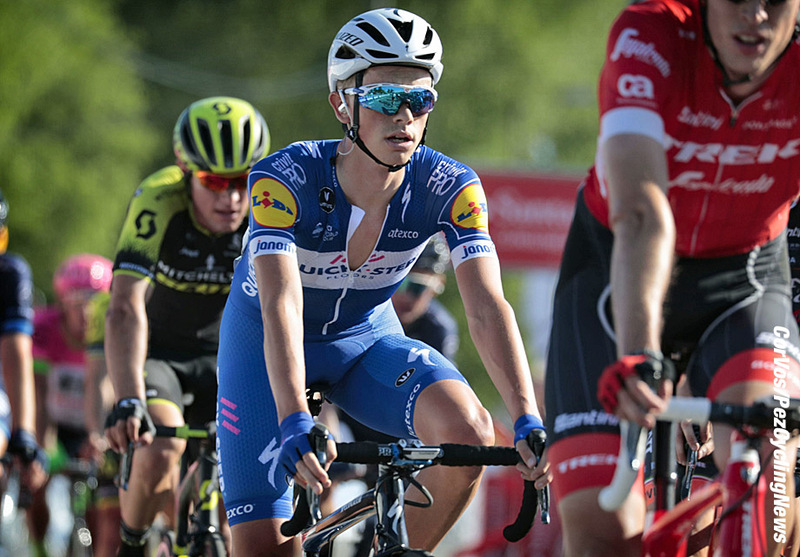 Rider Interview: One young rider who has quietly been working his way up through the categories is James Knox, now a WorldTour rider with the top winning Quick-Step Floors team. We caught up with James earlier in the season to hear about his road to stardom and what he hopes the future will bring. 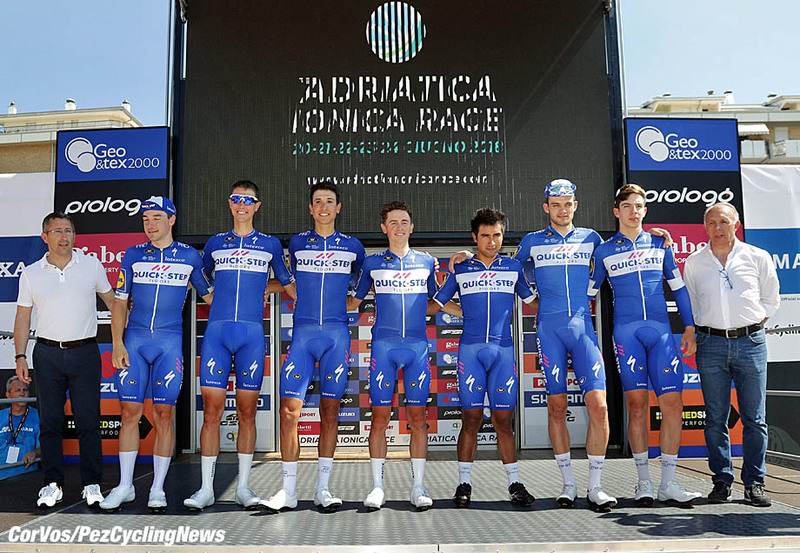 On Wednesday, James was part of the Quick-Step Floors team who won stage 1 of the Adriatica Ionica Race, finishing second to Elia Viviani and taking the 'Best Young Rider' jersey. You can read about it in EUROTRASH Thursday HERE. 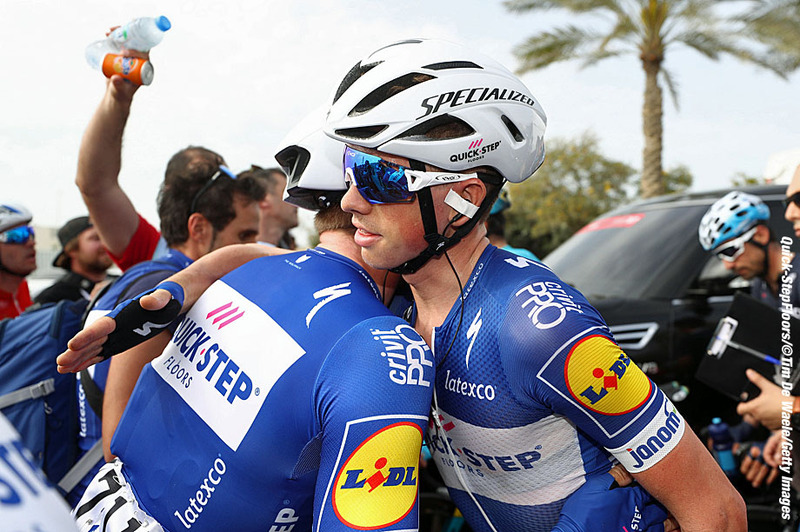 PEZ: How are you settling in with the Quick-Step Floors team? James Knox: Everyone has been really nice, making me feel welcome, It's hard to remember everybody's names, there are thirty or forty members of staff, but I'm really excited to be here. PEZ: How did the contract with the team come about? I had been bubbling away for about three or four years racing in Europe and then last year I had a few good results. 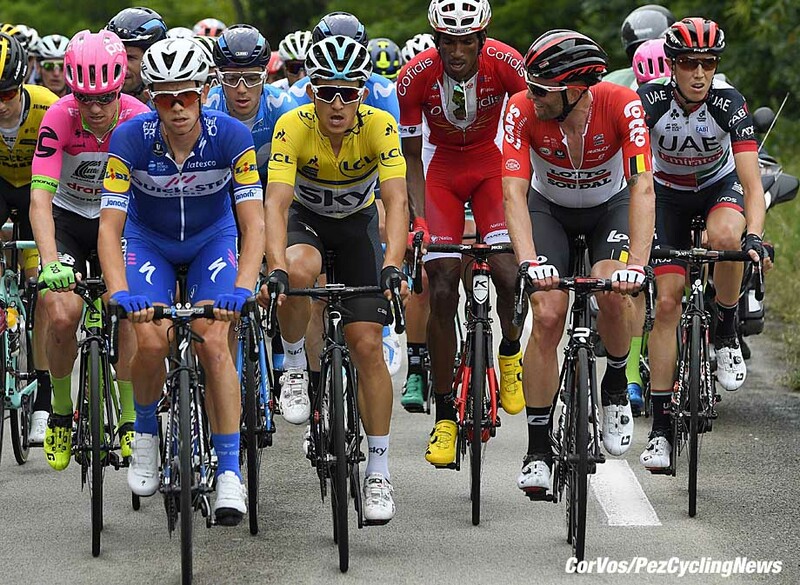 Quick-Step had a scout at a few of the races I rode well in - he was there at Liège (2nd), he was at the Ronde de l'Isard (5th overall) and so he saw me riding well and eventually I went for tests with some of the other riders at the Bakala Academy. Luckily the test coincided with the best I was going all year, so I did quite a good test. After that, I met up with some of the staff and followed it up by doing a good ride in l'Avenir (8th overall) and the Tour of Britain. I was actually on a bus into town when I received a phone call, some time between l'Avenir and the Tour of Britain, saying I had a contract with Quick-Step for 2018. It was a pretty amazing time for me, being a fan and everything: "Wow! An offer from Quick-Step!" PEZ: What was the high point of the 2017 season? Probably Liège. It was a weird one as I crashed in the first 15K and then chased for ages and thought I had wasted the race. I sat on the back thinking: "what is the point?" I had resigned myself to going out the back when they started attacking, and then we got over La Redoute and my teammate that I lived with, Mike Thompson, gave me a bit of a clip round the ear and asked me "what are you doing?" He moved me up and dropped me off at second wheel and then I attacked to get away, then followed another move and attacked again and that was it. I lost by a tiny amount to Bjorg Lambrecht. For quite a while I was thinking about all the things that happened, but it was an amazing thing that it was my first big target for the year and I wanted to make that step up, so I was really happy. PEZ: Is that the kind of race you see yourself doing well in with the pros? Yeah, anything hilly really - In the Ardennes and stage races when the road starts to go up. I've not done a full season of pro races yet, so we will see. 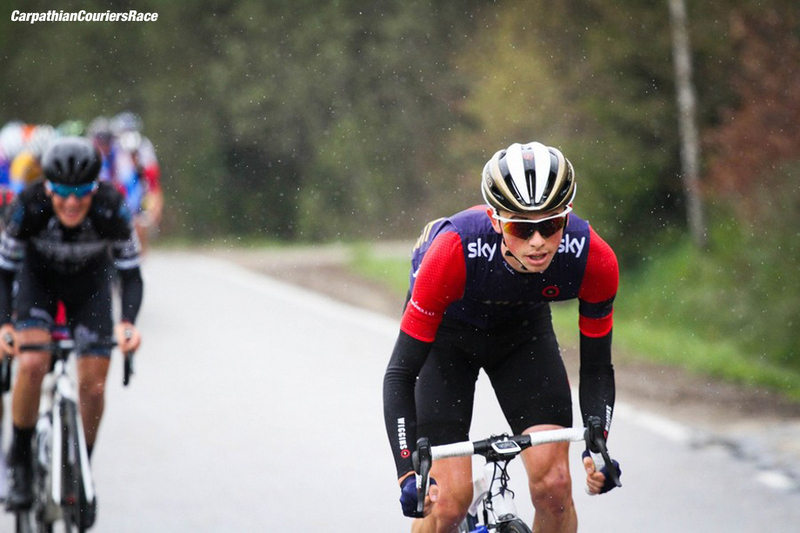 Doing it as an Under 23 and with the pros is a different thing. PEZ: What was it like racing in Italy with the Zappi team? I've got some funny memories, looking back now. It was a great experience and I owe Flavio (Zappi) a lot. It's a weird little team because not a lot of people know about it. When I finished the juniors I had to finish my A levels [school exams], and so my mum and dad said they were happy to support my cycling, but I had to finish my A levels in June. Even though I did all right as a junior, I had no offers from any Continental team, or British teams, so Zappi was the only thing I had going and Flavio was happy to let me finish my exams and then join the team - getting my head kicked in that first year - and then have another year with them. There was some fantastic races for the level of that team. Flavio is doing it for the right reasons, it taught you how to live the right lifestyle and taught you the right lessons. All the races suited me also, it was great to be there. PEZ: Was it a big change to go from Zappi to the Wiggins team? I guess it was quite a big change. On the Zappi team we lived as a team and we did everything together. Flavio helped take care of us and the difference from there was having to do everything for yourself, you had to learn. It was a British team with a British environment, so it wasn't drastically different, but it was a step up in professionalism, like flying to races and all the staff on the team. We rode the races that a rider like myself needed to be noticed. It was amazing and great for me. 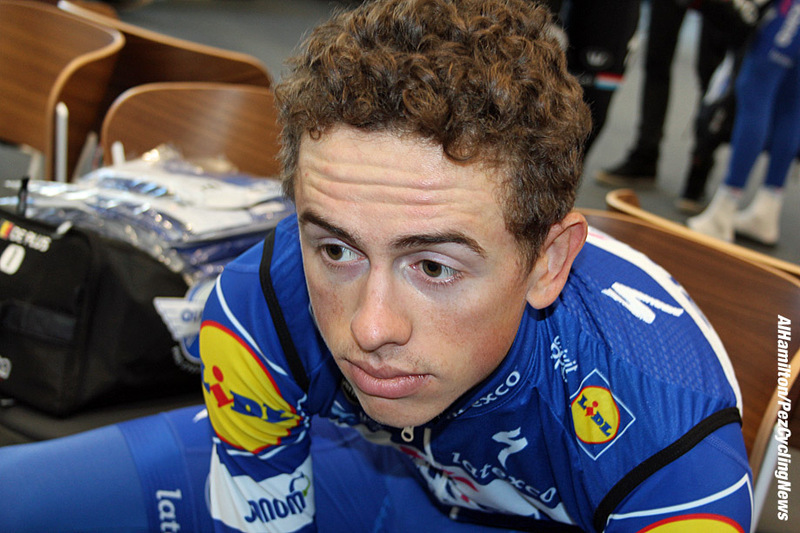 PEZ: And now at Quick-Step Floors? It's just the level of everything. Moving from Zappi's to Wiggins and thinking: "Oh, I'm flying to races now." Here, at Quick-step, we have the training camps were we go out in four or five different groups and have a following car with mechanics and staff and bottles and food and everything. A massage every day, stuff like that. Logistically everything is taken care of, team doctors and trainers, I've never had a coach before, now I've got a coach with the team. At Zappi; Flavio told us what to do and at Wiggins I basically just did what my teammate and roommate, Dan Pearson did and last year with Mike Thompson I did the same. We decided what training we would do and just got on with it. It's good to have someone else look at your training, with doing it yourself, I always felt I should be doing more. It's easy to say you should be doing this and that, but sometimes you need to step back. It's the level of experience on the team; Patrick Lefevere was running teams before I was born. 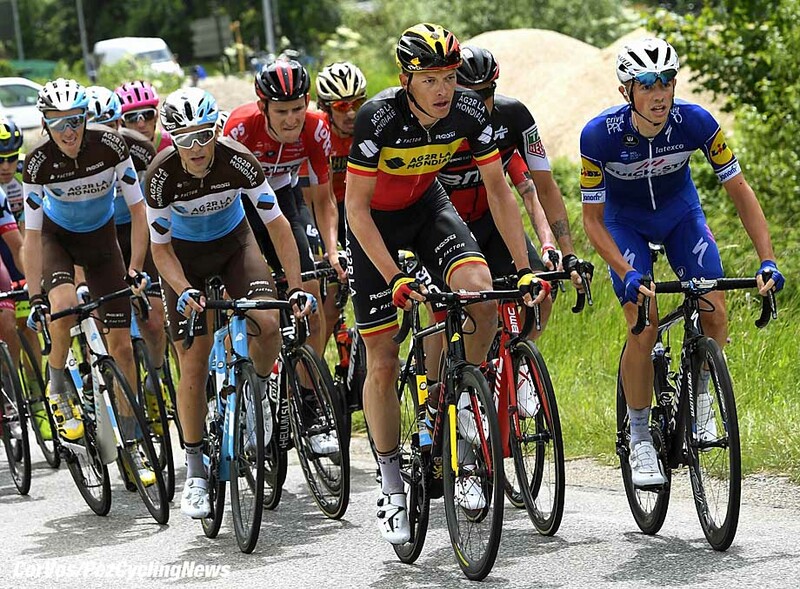 Then there is the staff and the riders; I've been rooming with Philippe Gilbert, he's been a pro for, what? Sixteen years. PEZ: As a bike fan, what is your favourite race? To watch, the one-day Classics are always special. Races like the Worlds, Flanders and Liège, and put Sanremo in there as well, they are the special ones. Also the odd Giro stage as well. The Vuelta is amazing, but everyday is a summit finish and it's so hard that it's the same ten riders up there. It's those races where everyone is putting it on the line, like Flanders. PEZ: Have you done the Belgian thing? Not really. 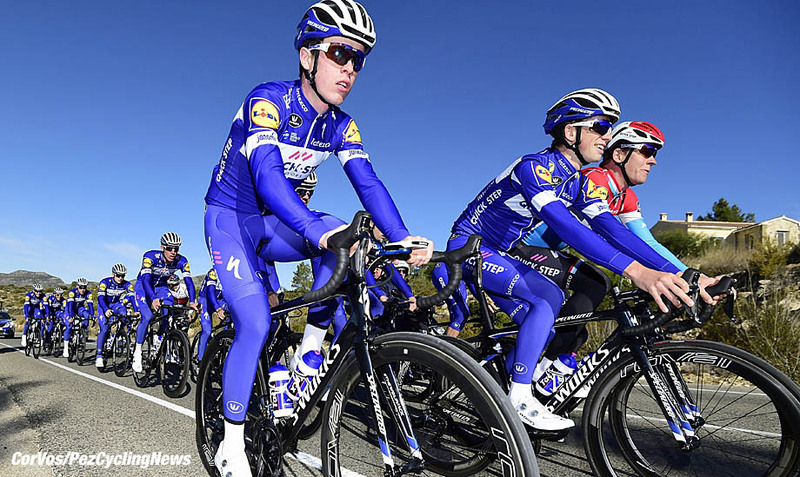 It's not that I don't want to, it's just that in the Wiggins' team there were other guys who were better suited to that than me and so it made more sense to send them... And it seems there are one or two here at Quick-Step that are more for the Belgian races than me! PEZ: Did you have any heroes when you were younger? I don't think so. I became a fan of cycling before I started racing. Part of the love of it was not from having one specific hero, but following the sport and learning all the teams and learning all the riders, I guess all the guys you want to be like are the most entertaining riders. It would be about ten years ago when I started watching, so the first Tour I watched was the one where Contador and Rasmussen was fighting it out. Watching Contador attacking was amazing and characters like Gilbert are the guys who stand out and are the most entertaining. Guys that make you say "I wish I could do that!" PEZ: How did you get started in cycling? We are not a cycling family, but my dad did a bit of motocross and trials riding and he always rode a bike, so there was an interest in riding bikes. His main concern, for us kids, was that we were not sat in front of the TV, so when we were young we did it all. We did judo down at the local club, played cricket, football, played a bit of tennis, I got particularly keen on running, so I did quite a bit of fell running, that was the first thing I really got into and got quite a lot of success. I was a multiple National fell running champion. I think when I was 11 and my older brother, Johnny, was 13 and I beat him in a local fell race and he stopped running and started cycling. He was cycling for two or three years and was on the talent team, so he was quite a good rider, but doing it for fun. So when I got to 15 or 16, I'd been a runner and done the training and everything, but it's not the same watching a running race on TV, so I started watching bike races. The Christmas before I started as a junior I decided I had to do it now before it was too late. So I did my first year and got my head kicked in and really found it hard, but gradually I got better and got half decent results and then I really caught the bug and went from there. 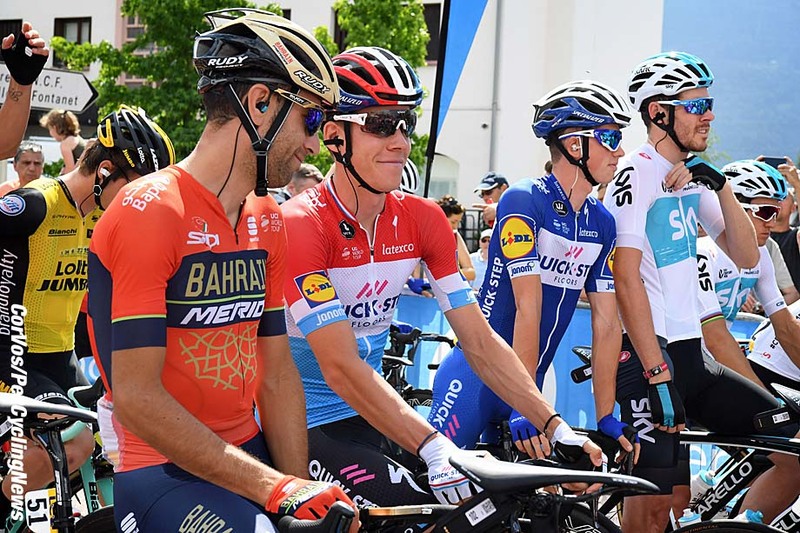 PEZ: What about riding a Grand Tour?